How to find the best Real Estate agent for you if you are buyer or selling your home. Whether you are buying or selling your home, do not settle for just an average real estate agent, you deserve the best REALTOR®! Buying or selling your home is a HUGE undertaking and you will need a professional. Learn how to choose the right real estate agent for you by watching the video below. Then check out why you should choose one of our agents at Desert Dream Realty. Find your Dream Home with us! 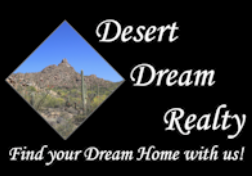 WHY CHOOSE DESERT DREAM REALTY? Here is a list of the basics your listing agent will do. Here are 15 reasons you should choose a Desert Dream Realty real estate agent to help you buy or sell your home. Here are some of the reasons why you should select Desert Dream Realty to represent you when buying your Dream Home. Here are some reasons why you should choose Desert Dream Realty to help you sell your home.